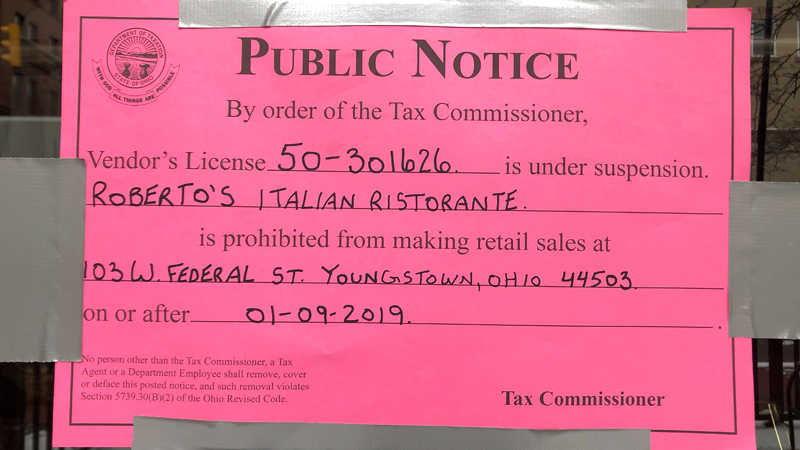 The Ohio Department of Taxation has suspended the vendor license of Roberto’s Italian Ristorante, downtown. To get back in good standing, a business must pay off its sales tax obligation or file all outstanding sales tax returns, he said. Attempts to reach the business owners Thursday were not successful. Roberto’s opened downtown in February 2012, according to Vindicator files. January 10, 2019 9:55 p.m.